Ryan Reynolds’ Green Lantern movie was a mess. There is no need to sugarcoat it, no need to be nice about it, facts are facts and that Green Lantern movie was a mess. Despite that, the film did have a bright spot or two such as Mark Strong’s performance as Sinestro. Strong had the mannerisms, persona and the look to bring Hal Jordan’s friend-turned-enemy to the big screen but even that wasn’t enough to save Green Lantern. Now DC is shaping their own cinematic universe and Green Lantern is scheduled to take another crack at being a box office success, so when Mark Strong was asked about the idea of re-upping as Sinestro, he was candid about the idea. Strong makes sense. 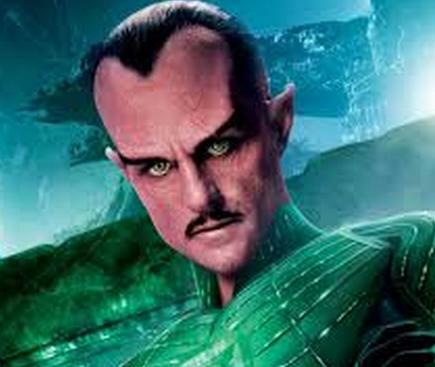 It wouldn’t be very prudent to incorporate his Sinestro from the first Green Lantern movie into this new universe DC is creating, so even though he has the experience for the part going for him, a new actor should be giving the new Green Lantern all manners of grief as Sinestro.